Ford Kansas City Assembly Plant employees celebrate the production of the new Ford F-150, originally uploaded by Ford Motor Company. 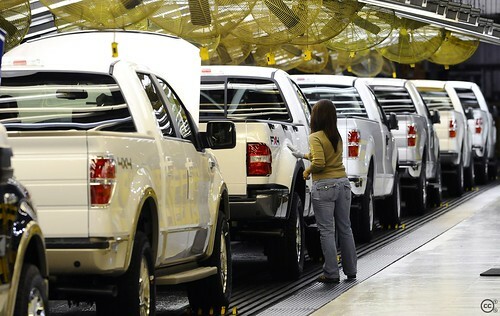 The Kansas City Ford plant was named the primary assemby plant for the 2009 F-150. This means a lot to the guys at the plant, and to us, because it means we are going to keep building the truck. October is Truck Month at Ford, it is time to buy! We have up to $7500 off of the 2008 F-150's and the 2009's will be here any day.